Infinite Reality, Spiritual Sin and Illusion: Sage's Dream - Heart. Soul. Strength. Mind. When I was pregnant with my youngest, my mother told me that I should call him Emmanuel, “Christ is with us.” I ended up naming him Sage, of course, but the name my mom chose would have been even more accurate. When Sage woke up this morning and told me his dream, I truly felt that Christ was with me, illuminating my mind to the nature of reality that I always question so very much. The words coming out of my son’s mouth were simply beautiful. In his dream, he was with an instructor who had a bunch of young folks with him. The instructor led them all to an infinite hallway, and gave them instructions. In the hallway were many other hallways branching off. 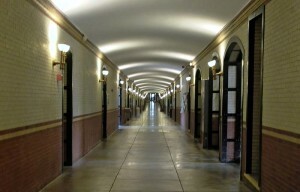 Within those hallways were individual rooms. 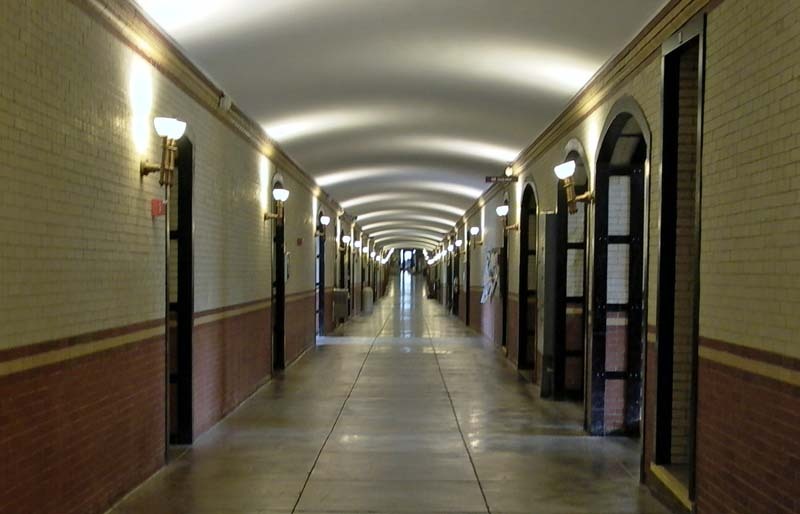 Within these rooms were more infinitely long hallways, and so on. Some of the people had fun visiting other people’s realities and even becoming part of them. Others were frightened by the entire experience and decided not to participate. They just sat there. When the instructor said not to get lost in your reality, what he meant was for us not to get caught up in ego and fear. For example, not to worry about what other people think, or whether or not we live in a “safe” neighborhood or have enough money for retirement. Getting caught up in these things stops the spiritual growth we were put here to experience. You can go INTO your own reality, or you can go OUT into truth, considering everything that could possibly be. Realize that everything we see is an illusion and we can avoid going inward into a reality in which the argument we had with our mother is important, for example. To go into truth, is simply focusing on helping others and being kind. In other words, LOVE. The instructor warned not to get stuck in a personal reality in which one thinks they have risen spiritually as far as they can go — in other words, believing one is Godlike and has nothing left to learn. This reality leads to spiritual stagnation and death, he said. When I heard this, I immediately thought of spiritual pride, and Sage confirmed that is what the instructor was referring to. You can get other people lost in your own reality. This is a spiritual sin. Think of someone who ropes another person into an unhealthy belief system, subsequently blinding that person to the ultimate truth of his existence. Sage went to another world. In this world, he met our deceased cat Varmint. He hung out with her, and on their journey, they ran into some people with a meat grinder. These people were throwing plants, animals and people haphazardly into the meat grinder. They tried to grab Varmint, but Sage grabbed her and saved her. They left, and Varmint found a nice comfy couch to lie down on. Then her spirit arose from her, and it was one of an old lady. (I hooted at this, because Varmint always acted like an old lady.) Then the spirit changed into a young woman, who thanked Sage from rescuing her from that body, which was now represented as a metal prison of sorts. She told him that he rescued her by caring for her and loving her. The meat grinder people, says Sage, are greedy world controllers — brainwashers, manipulators, power lusters. Think governmental and corporate control. The whole point of it all, says Sage, is that we are here to learn, and we rise by helping others. Everything else is an illusion. I think about the Beast in John’s Revelation, and I can see it being the meat grinder in Sage’s dream. Regarding the spirit being let out of the prison, I think of Jesus’ words about “setting the captives free.” There was so much spiritual truth here, and as I talked to my son, I felt as though I was talking to an old, old person with a very clear mind. I asked him questions and he answered them as though he were a direct channel to the divine. I just told Sage about my sense of him being an open channel while talking to me about the dream, and he agreed. He said, “I still am. Ask me questions while you still can. Work that soul!” Love it. Life is cool. The joy of the Lord is my strength. This entry was posted in Dreams, Growth, Supernatural and tagged dream, infinity times infinity, reality. Bookmark the permalink. ← Are We Being Unfair to School Shooters and Other Mass Killers?